The Sonny Liston Estate and the band “THE KILLERS”, team up to create a new t-shirt. Grandparents Sonny and Geraldine Liston, had a love for one another, that never died. The public record states that Sonny was a slave to the Mafia. That Mr. Ali, Sonny, the Mafia, boxing managers and business partners conspired to fix the fights. And that Sonny was lying about his shoulder injury in the first fight with Mr. Ali. But the official record always stated the facts from the very beginning. SONNY LISTON/ ALI FIGHTS Posted on December 11, 2015. The FBI did not want to open an investigation on the Sonny Liston/ Ali fights. Because they knew that they weren’t fixed. The FBI felt that the press was basing its leads off of rumors. And the FBI did not trust the press. The FBI had just investigated boxing in 1960 and would just continue to rely on its continued wire tapping, boxing experts, informants and contacts within the Boxing Commissions nationwide. The Justice Department in a statement yesterday, Senator Hart hinted that he was less interested in the fighters themselves, than the men around them. He did not draw any conclusions. In the first Sonny Liston Cassius Clay fight Sonny Liston was not able to come out for the seventh round, complaining of pain in his shoulder. My grandmother told me this before she died that, “What the world does not know is that before the scheduled first fight against Cassius Clay, Sonny was working on his roof cleaning the storm drains, and he fell off the ladder onto his left shoulder injuring it. His then managers the Nilon brothers convinced Sonny to go ahead with the fight anyway, knowing that his shoulder was hurt. Grandma Geraldine, told me that that was the dumbest thing Sonny ever did. She told me that the Nilon brothers destroyed there relationship over money. She said that, “people will fight each other over money, even if it is a nickel more than they had before.” The press and most fans did not believe that Sonny was telling the truth about his shoulder pain and thought that he had thrown the fight. 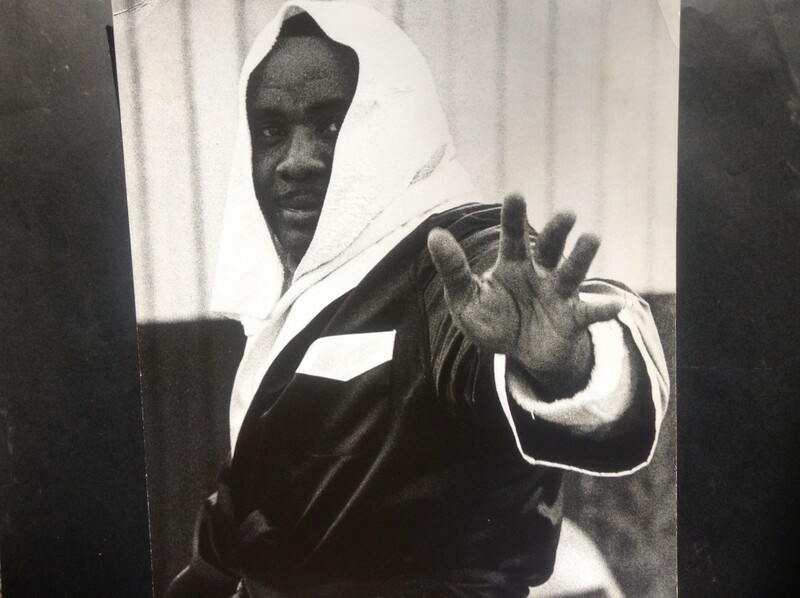 But what most people overlooked and have forgotten is that… Miami News: State Attorney Richard Gerstein ordered a complete report on the medical examination of Sonny Liston whose torn shoulder tendon lost him the heavyweight crown to Cassius Clay. Gerstein said the sudden end of the fight with Liston unable to come out for the seventh round “left me wondering whether what I had seen happen actually did happen.” The Miami Beach Boxing Commission held up Liston‟s $367,000 purse until a team of doctors confirmed that his shoulder injury was sufficiently bad to make him unable to continue the bout. Wires from all over the country flooded the Boxing Commission today denouncing the fight as a “disgrace” and “an insult to boxing. Despite the agreement of eight doctors as to Liston‟s condition, the Commission said it also wanted to have Liston examined by its own physician. The Commission was to have a special meeting later today. Sonny Liston, the supposedly unconquerable “killer,” threw the punch and when it missed the follow-through, twisted a tendon in his massive left shoulder. That was the diagnosis of eight doctors who went over the 7-1 favorite with X-rays and other devices for more than three hours last night and early today at St. Francis Hospital. After hours of waiting, Dr. Alexander Robbins, chief physician for the commission, reported that the injury to Liston‟s shoulder “would be sufficient to incapacitate him and prevent him from defending himself.” The 30-year-old fallen champion “suffered the injury to the long head of the biceps tendon of the left shoulder with the result there is a separation and tear in the muscle fibers with some hemorrhage of the muscle belly,” the statement said. Liston, also wearing two pieces of tape under his left eye where Clay opened a cut in the second round, said he injured himself late in the first round. “I tried to throw a left hook,” he said in a voice almost inaudible. “It missed, I felt something snap. “I just couldn‟t throw a punch… not the jab anyway. My arm was killing me.” Both camps loudly disclaimed any suggestion of a rigged match. “Put a Bible before me and I‟ll swear it was on the level,” said Jack Nilon, Liston‟s manager. “This is not a fix,” screamed Clay. “I am the greatest. He didn‟t touch me. I closed both his eyes.” Former heavyweight champion Joe Louis commented after the fourth round that Clay “is surprising the whole world.” A spokesperson for the Justice Department emphasized that the government has no evidence that Liston himself or Katz and Nilon ever split purses with Gangsters. They had nothing on Liston, but he being a boxer was caught up in the interest of the Mafia. Baron managed Liston from 1958 to 1961. At present George Katz of Philidelphia and Jack Nilon of Chester Pa. are co-manager of Liston. Liston bought out his contract with his fight manager Joseph (Pop) Baron for $75,000. Sonny Liston was never interviewed by the Justice Department about the fights. The public record states that Sonny Liston was a heroin addicted heavyweight contender. The official record is that no boxer has ever been ranked the seventh greatest fighter of all time, while at the same time maintaining a heroin addiction. The public record states that there were drugs found at the house and on Sonny at the time of his death. The official record tells a different story altogether. Dr. KA Mills and his colleagues comment on Sonny Liston’s never before released autopsy report. My colleagues indicate that Sonny had a potential life threatening problem with the bundle of His. Additionally he had significant lung disease that would have hampered a normal person never lone an elite athlete and top 10 fighter ( I believe he was ranked number 6 in the world at the time of his death). An amazing man. Sonny was hoping to convince Floyd Patterson to hold their rematch in Washington, so that part of the proceeds could go to Big Brothers. “Keeping boys out of trouble”.